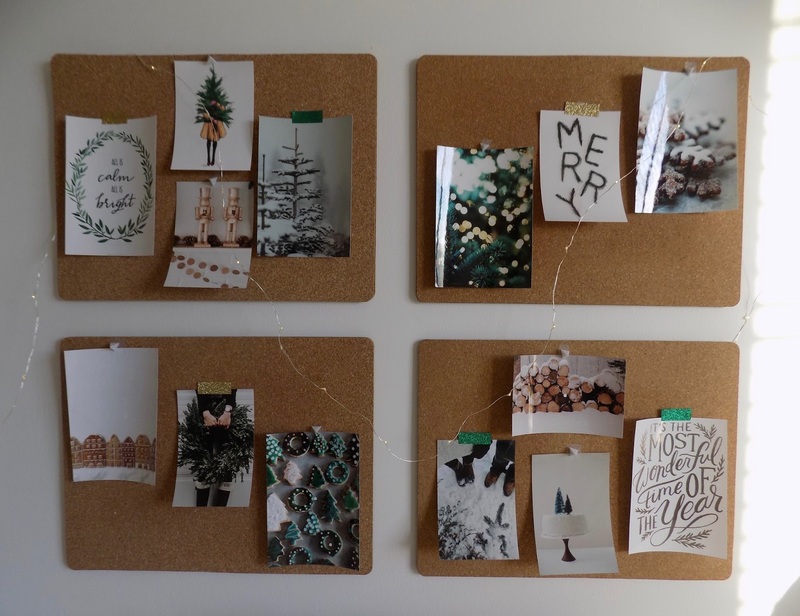 As you know I love to update the cork boards in my office to match the current season or holiday. Today I am going to show you how I updated them for Christmas! I spend a lot of time in my office during the holiday season. It is Santa's workshop so I wanted to make sure my cork boards were festive. 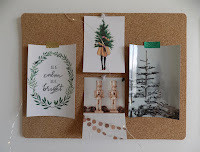 You know I have been loving the more natural color scheme and it made its way over to my cork boards as well! I kept the fairy lights draped over the cork boards and they added the perfect amount of Christmas magic. I love having them on while I wrap presents in my workshop. How do you add touches of Christmas to your rooms?